Our natural and serene surroundings lend to the ideal ambience for a conference or meeting. The team will ensure your event runs smoothly and to your specific requirements. Our large purpose built facility is fully equipped with audio visual equipment to suit any of your meeting needs. 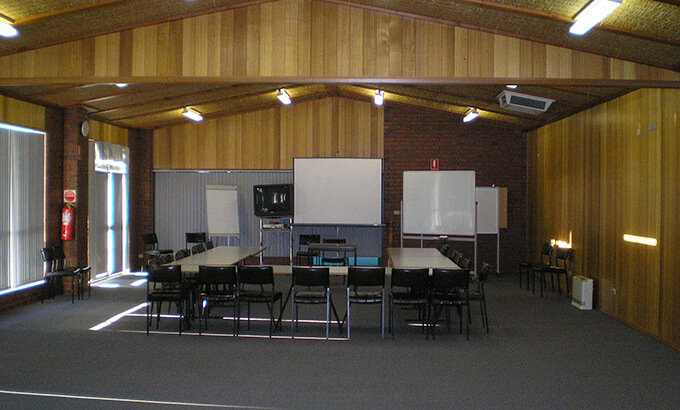 It can accommodate up to 110 delegates (theatre-style) or 120 delegates (cocktail-style). We also provide you with excellent catering of food and beverages for your delegates. The smaller function room can cater from 40 delegates (U Shape style) to a maximum capacity of 120 delegates (cocktail style). Audio-visual equipment is available on request. Nestled within a private location in our 3.5 acre property, Sundowner Inn Horsham Westlander is the largest accommodation complex in Horsham. Our function room is an ideal place for business travelers to hold meetings, conferences or seminars.